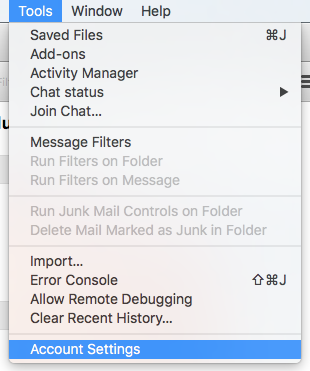 The following is a guide to accessing the LSU E-mail directory through non-Exchange programs such as Mozilla Thunderbird. 2. Select Tools from the taskbar at the top of the screen, and then scroll down to Options. 3. 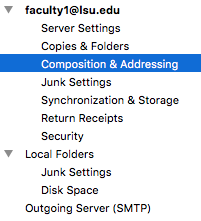 Select the Composition & Addressing tab. 5. 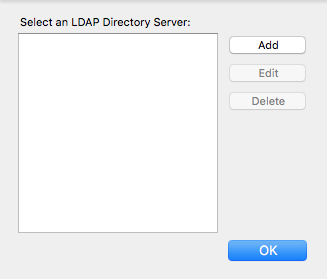 Select Add from the new dialog box displayed. 6. Under General, type in the following text next to Name and Hostname. Press OK.
7. Select PAWSDIR, and then click OK.
8. 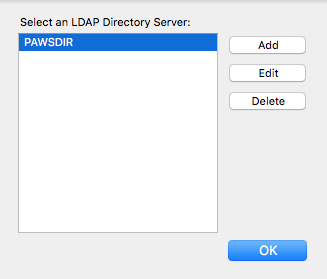 Select PAWSDIR from Addressing tab, then click OK.